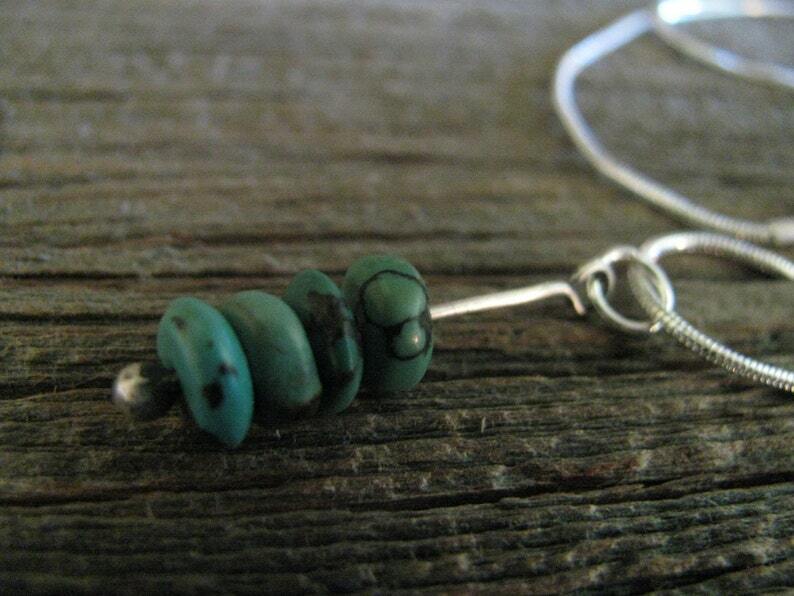 Handmade/Hand Forged for you by me from solid sterling silver and beautiful Genuine Turquoise. Beautiful genuine natural blue turquoise (stabilized) gemstones wrapped in sterling silver, then oxidized and polished. Pendant hangs on a sterling silver plated 18" chain. Please check out the matching earrings too! My favorite gemstone is the turquoise. Believed to attract money, success, and love, turquoise is a stone of friendship in many cultures. Native Americans associated the colors of the turquoise stone with the blue sky and the green earth. It is still seen by many today as being symbolic of mankind's source in nature. Convo me with any questions or special orders. Necklace is ready to ship in a bow tied gift box and organza bag for that special person or you!